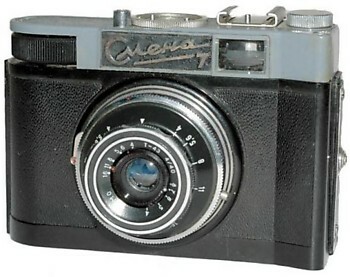 Camera identical to Smena-6, simplified, without self-timer. Straight-line name writing (the same on Smena-9). PK3305. 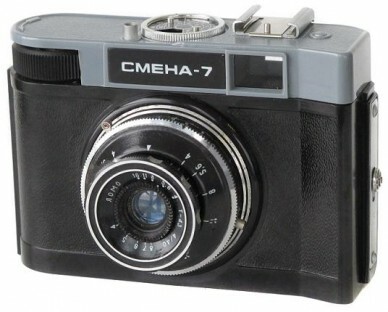 Under name „Смена-7“ in Cyrillic (quite common). 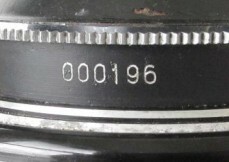 Camera opposite is from the first productional batch, since bearing such a low serial number (see picture below). No otherwised different from regular Smena-7 cameras. PK3310. 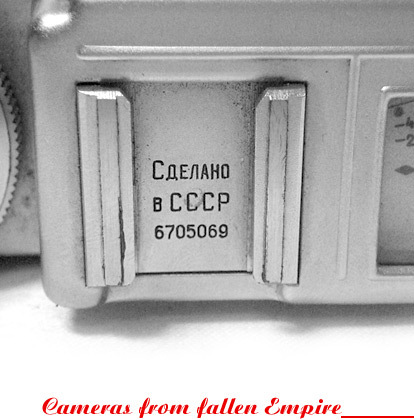 Under name „Smena-7“ in Roman letters (source: J.L.Princelle „Authentic Guide to Russian & Soviet Cameras: 2nd Revised Edition", 2004). I have never seen a single one of this model. PK3315. Very uncommon Smena-7 from private collection. 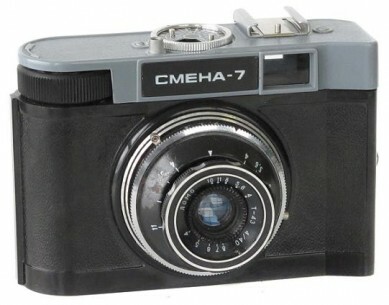 Camera identical to Smena-9, but under name "Смена-7" in Cyrillic characters. Name writing typical to Smena-5, Smena-6 or Smena-8, not straight-lined as usual. The serial number of particular camera #236353. Item from Anatoliy Zilbert (Russia) collection.